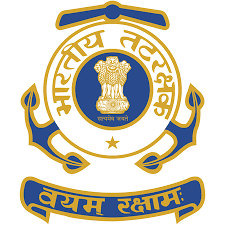 Indian Coast Guard Recruitment 2017 – Apply Online for Assistant Commandant Posts: Indian Coast Guard has advertised a notification for the recruitment of Assistant Commandant General Duty, Assistant Commandant General Duty (Pilots) & Assistant Commandant (Commercial Pilot License-SSA) vacancies for male candidates. Eligible candidates can apply online from 24-06-2017 to 02-07-2017 up to 17.00 Hrs. Other details like age limit, educational qualification, selection process & how to apply are given below…. Age Limit: Candidates should be born between 01-07-1993 to 30-06-1997 (Both dates inclusive) for S.No-1, 01-07-1993 to 30-06-1999 (Both dates inclusive) for S.No-2, 3 Posts. Age relaxation is admissible as per rules. Educational Qualification: Candidates should possess Bachelor’s Degree of recognized University with minimum 55% marks in aggregate (i.e. 1st Semester to 8th Semester for BE/ B.Tech or 1st year to last year for Bachelor Degree Candidates wherever applicable) for S.No-1, Mathematics and Physics as subjects upto intermediate or class XII of 10+2+3 scheme of education [Candidates not in possession of Physics & Maths in 10+2 (Intermediate) level are not eligible for General Duty (GD) & General Duty (Pilot)] for S.No-2, 12th class pass with 60% marks in aggregate and should possess current/ valid Commercial Pilot License (CPL) issued/ validated by DGCA for S.No-3 Posts. 1. Candidates should log on to the website www.joinindiancoastguard.gov.in. 4. Select Recruitment of Asst commandant – (Reular 01/ 2018 batch). 5. Upload the requisite documents & Fill all the details.